The pre-designed homes at Archevie Design are praised for their functional floor plans, unique designs, and curb appeal. Our stock plans are priced to meet every budget, starting at under 1600 square feet. Choose from two story, main floor master, or ranch plans. 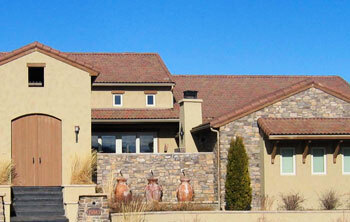 Our home designs are available for private homeowners and professional homebuilders to purchase. Plans are priced at $1 per square foot. The number associated with the plan is its square footage and purchase price. For example, the Chelsea 2403 is priced at $2,403. Ranch plans are labeled and priced on the main level square footage only. At first glance, these prices seem to be more than some plan services advertise. When purchasing a plan from an internet plan service, you’ll receive a roll or disk of drawings that probably won’t be buildable. You’re left with the responsibility of finding and paying a local draftsman or architect to bring these drawings to a point where they can be permitted and built. When purchasing a plan from Archevie Design, you’ll receive the same care and attention as a custom home client. You’ll also receive twenty hours of architectural or drafting time to make changes to the drawings at no additional charge. 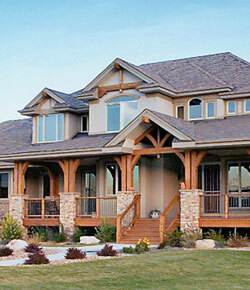 Plans are divided into Two Story Plans, Main Floor Master Plans, and Ranch Plans. Select the section you're interested in below, or search all plans for specific details, such as 4 bedrooms, covered porch, two story plan, and so on. Please feel free to contact us for recommendations on plans that may work for you.